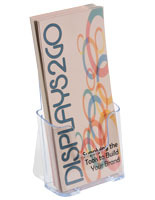 Whether you are an established company or a growing upstart, what marketing tools are an essential part of any business? 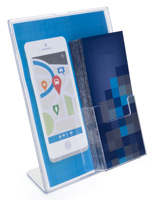 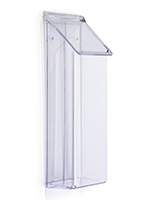 Countertop brochure holders, designed for displaying folded pamphlets or flyers, make distributing company literature easy yet affordable. 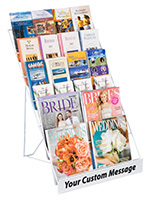 Our large selection is unparalleled with many size and material choices, but it all boils down to one all-important feature: their ability to draw attention. 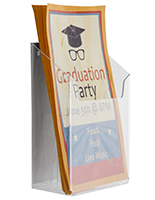 If customers can't see your promotional content, then what's the use? 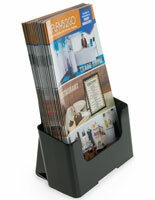 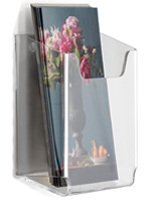 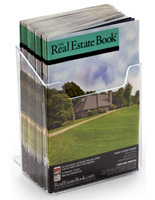 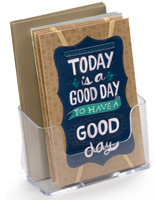 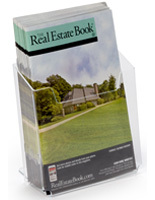 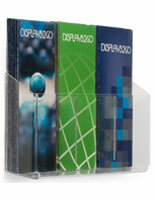 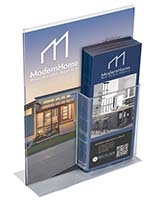 Purchasing countertop brochure holders doesn't have to be difficult. 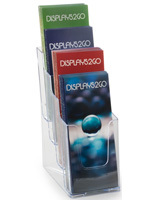 The first step is deciding what material the literature display is made of. 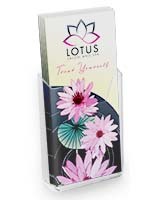 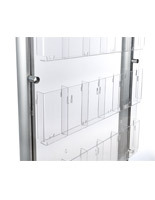 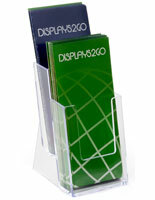 The majority of leaflet pockets are manufactured from acrylic plastic. 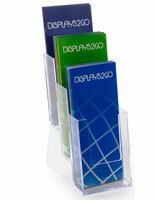 These are the most popular models because the transparent acrylic provides a clear, unencumbered view of your brochures. 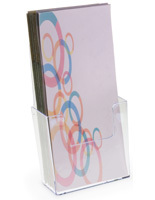 Also available are holders made from economy cardboard, solid wood, and steel wire. 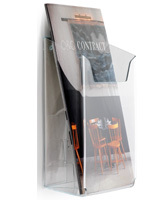 Each material offers a different look and appeal depending on your interior decor or tabletop placement. 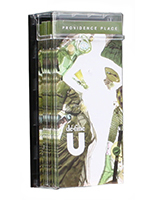 Next, choose the size and number of pockets. 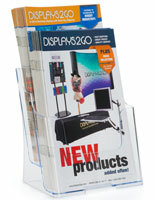 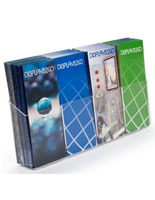 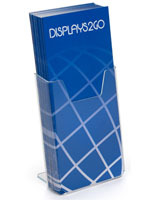 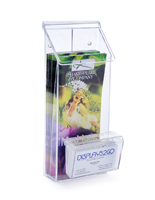 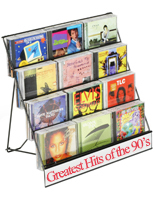 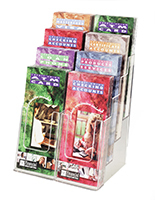 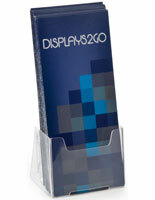 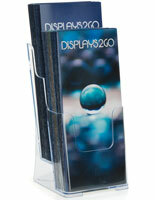 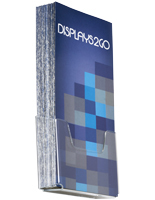 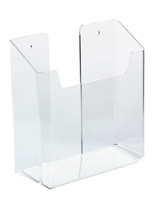 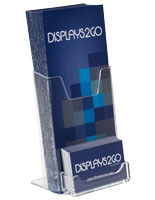 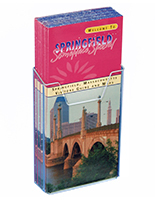 We sell counter displays that support folded brochures or standard-size catalogs & magazines. 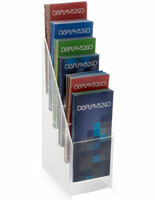 Sometimes a single pocket is all that's needed but multi-tiered racks capable of holding 12 or more different brochures are also available. 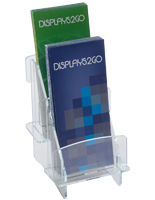 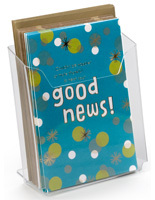 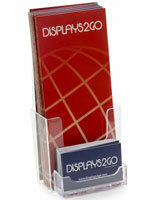 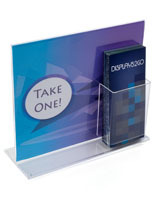 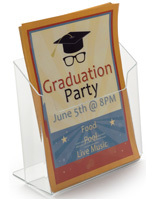 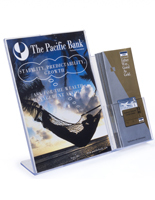 Another option is to pair brochure holders with promotional sign frames. 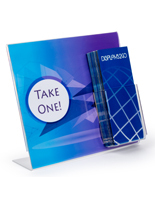 These offer double the marketing punch with a two-step attack. 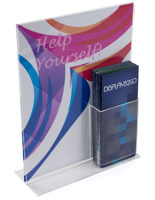 The customer first notices colorful graphics displayed inside the sign frame that extoll the virtues of your unique service. 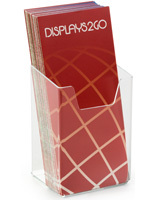 Then if the customer's interest is piqued, they can grab a brochure or business card to go. 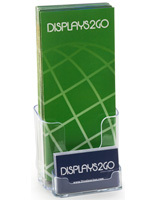 The real value of these literature displays lies in the distribution of information. 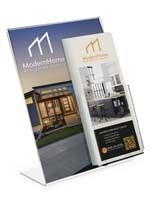 Potential customers can take a brochure home with them to scrutinize the finer details of a lender's mortgage rates, or decide which car to buy. 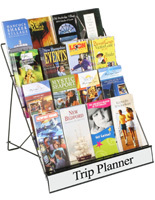 Sightseeing? 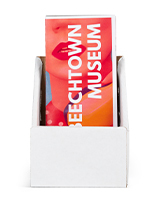 Better take a handful of brochures depicting places of interest to fill out the day's schedule. 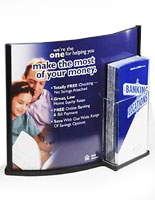 As a business owner it pays to provide this bridge of communication with consumers because their spending dollars are what drive the economy.